The trail can be a pretty intimidating place at first. Intimidating, that is, until you find the right bike to start ripping on. 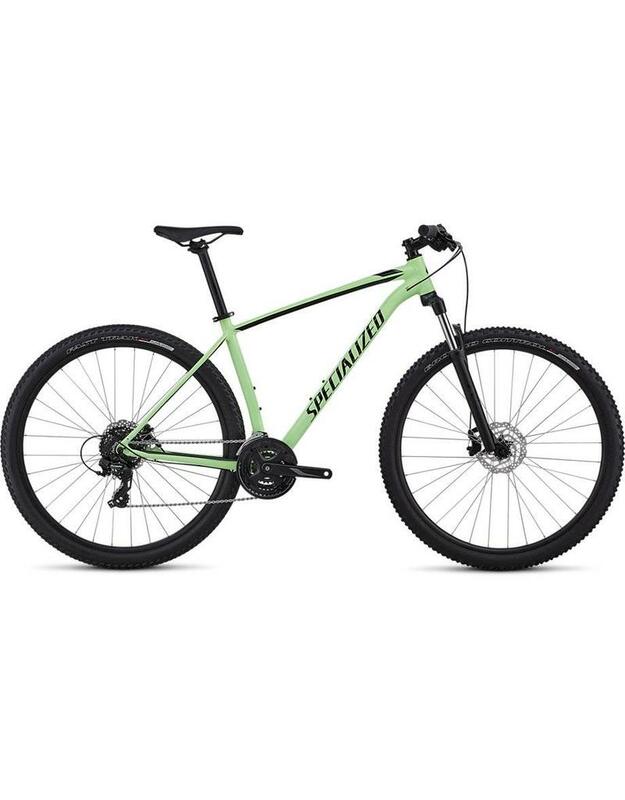 This bike is the Rockhopper 29—the perfect ride for you to find your confidence on the trail. It starts with new A1 Aluminum frame that has optimized tube shapes that save weight while dramatically improving aesthetics. To go along with these clean new lines, the new Rockhopper also has internal cable routing to further clean up the frame. Lastly, Sport XC 29 geometry adjusts the reach, angles, and standover height to make for an improved fit across the size range. This is sure to keep you ripping and confident while heading both up and down the trail. This Rockhopper comes with a build spec that places an emphasis on reliability. 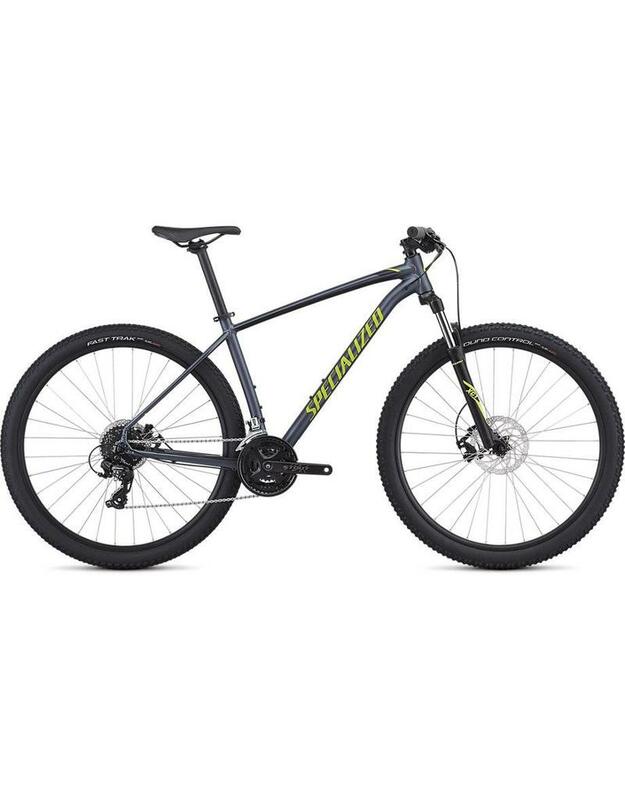 This means that it features a full Shimano drivetrain, no-fuss mechanical disc brakes, grippy Ground Control Sport and Fast Trak tires that add traction over any trail, and an SR Suntour XCT 29 fork. The frame is constructed from lightweight A1 Aluminum in order to provide a compliant, durable platform to support the acclaimed XC Sport 29 Geometry. 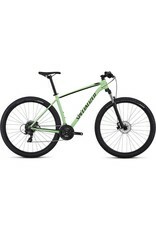 Combined, you get a bike that's more than efficient on climbs and descends just as well. SR Suntour XCT fork features 80/90/100mm (size-specific) of coil-sprung suspension travel that swings well above its weight class.